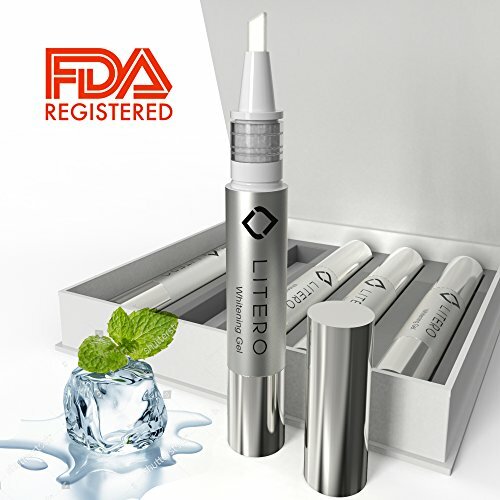 If you're ready to say goodbye to coffee, tea and smoking stains on your teeth, then recapture your gorgeous white smile with the revolutionary LITERO Professional Teeth Whitening Kit . Safe and Effective Using the LITERO teeth whitening kit for just 16 minutes a day can help dramatically increase the brightness of your smile. Simply rinse your mouth, wipe your teeth dry, apply an even coat of whitening gel, pop in your LED mouthpiece that's connected to the power bank or your smartphone, and start removing years of built-up stains; it's that easy! Smart and Affordable Avoid expensive visits to the dentist where teeth whitening treatments can cost up to $500. Our at-home system gives you the same amazing results, but you don't have to deal with the hassle of setting up an appointment or the anxiety of the dentist's chair. Safety Note: This product is not suitable for ceramic, false, or decayed teeth. Avoid using if you have severe tetracycline, discoloration caused by lesions or medicine, or suffer from defective enamel, exerted dentin or damaged teeth. Not suitable for those under 12 if you are pregnant. 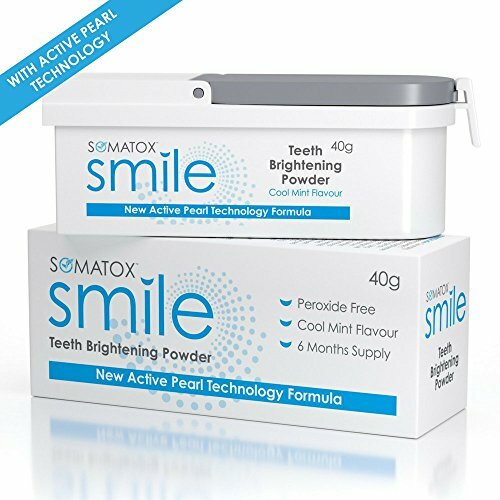 Click 'Add to Cart' start getting a bolder, more beautifully white smile in just minutes every day! NOTE LINHART Teeth Whitening Gel is temperature sensitive, and can liquify in cold temperatures. If your tube appears to contain liquid, please place in a warm area and it will return to its proper, gel form. DIRECTIONSPlace a bead of whitener on top of your toothpaste prior to brushing, then brush as usual. Do not exceed 2 or 3 uses per day and do not swallow. LINHART EXPERTISEA line of oral care products based on 10 years of development within our global patient pool, 40 years of dental experience, and almost 100 years of LINHART expertise!